Your access to and use of this site is conditional on your acceptance and compliance with the terms, conditions, notices and disclaimers contained on this page and elsewhere on the site. Your Access to the site constitutes your agreement to be bound by these and any other conditions or policies on this site. We reserve the right to revise, amend and update the conditions at any time effective on the date of posting to the site of the new and amended provisions. 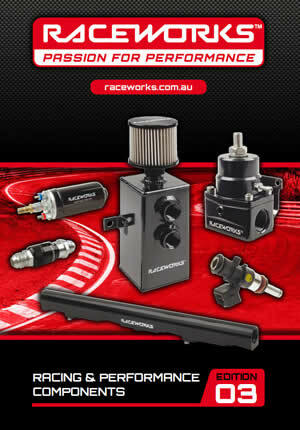 Premier Auto Trade Pty Ltd (as the wholesale supplier of Raceworks products) makes no representations about the suitability of the information published on this website for any purpose. The information is “as is” without warranty of any kind. Premier Auto Trade hereby disclaim all warranties and conditions with regard to this information, including all implied warranties and conditions of merchantability, fitness for a particular purpose, title and non-infringement. In no event shall Premier Auto Trade Pty Ltd be liable to any party for any direct, indirect, special or other consequential damages or any damages whatsoever resulting from loss of use, data or profits, whether in an action of contract, negligence or other action, arising out of or in connection with the use or performance of information available from this website. Information on this website may contain technical inaccuracies or typographical errors. Information may be changed or updated without notice. Premier Auto Trade may also make improvements and/or changes in the products and/or the programs described in this information at any time without notice. Information Premier Auto Trade Pty Ltd publishes on the World Wide Web may contain references or cross references to third party (suppliers) products and services that are not announced or available in Australia or may have alternate specifications than overseas models.